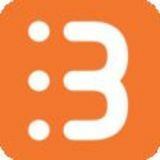 Biipmi has provided a comprehensive databse of skills type which you can select from, skills available will vary depending on your current industry. Click on details to pick your skills type. Check the boxes to pick the skills that you posses. Once done, click on hide to collapse this field. This is your expected salary range per selected period. Currency is in SGD. Pull parameters are keywords you deploy for this Employability Plans whereby when matched, job postings that contains the keywords in this field will be ‘pulled’ to you. 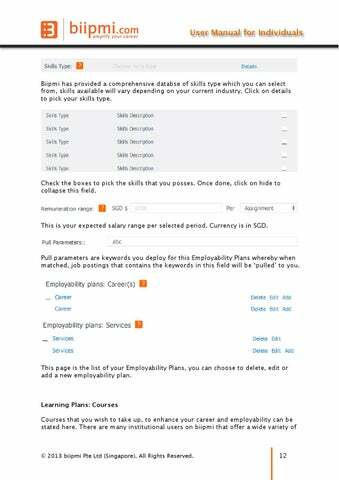 This page is the list of your Employability Plans, you can choose to delete, edit or add a new employability plan.